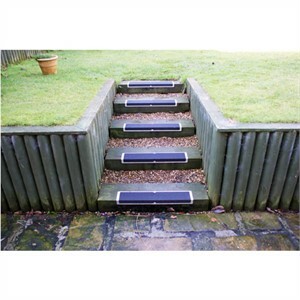 Our Anti-Slip Screw Down Stair Treads are ideal for application on wet or previously unsuitable surfaces including wood decking. 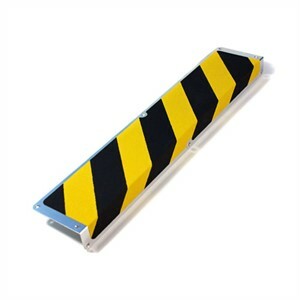 They are made from 1.6mm weatherproof aluminium finished on the top with a non slip coating of non-slip tape and will not tarnish in foul weather. 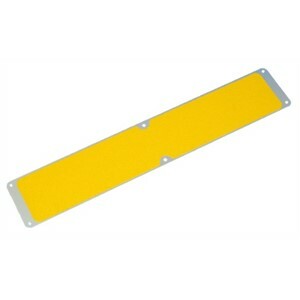 They offer a non slip coating that can be mechanically fixed into place using screws, bolts, nails or clips. Our flat tread size SS#750 is 115mm x 635mm with almost all of the upper surface finished with the non slip coating. 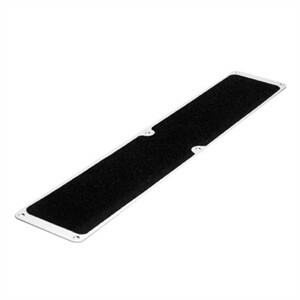 Our new L Shaped treads SS#760 are 120mm X 635mm X 45mm and fully cover the step edge with an anti slip coating. 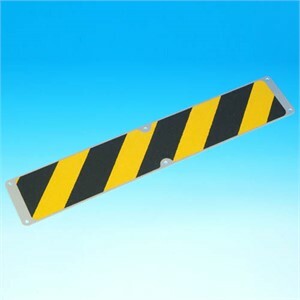 We can manufacture any size, any shape and in any of our colour options.